A quarter century strukes us as a worthwhile milestone to celebrate the twelve-cylinder engine. There aren&apos;t a lot of automakers producing V12 engines these days, but BMW is one of them. In fact it has been since 1987 when it debuted a 7-Series sedan with a twelve-cylinder engine. 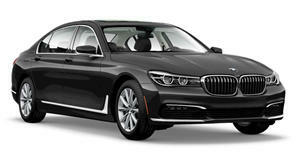 Now BMW is celebrating that quarter-century milestone with the 760Li V12 25 Years Anniversary Edition. The special edition features BMW&apos;s latest 6.0-liter twin-turbocharged V12 producing 535 horsepower and 550 lb-ft of torque, but that&apos;s not all.